If you’re a PlayStation owner in Europe, you may have experienced some ridiculously slow downloads speeds the last few days. Can you imagine waiting 48 hours to download a game?! That’s a reality for some folks right now. When a reader alerted me to the fact that PlayStation Network downloads were sluggish lately, I figured we were talking about a few hours longer than usual to download patches and the like. 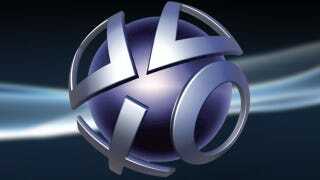 We are aware of reports that some users are experiencing slower then usual download speeds from the PlayStation Store. This has been reported to our network team for investigation. Please keep an eye on this thread for updates. How bad is it, though? I asked folks on Twitter to share photos of their download speeds, and it’s kinda unbelievable. If there weren’t so many people having the same experience, I might be inclined to say “hey, maybe it’s just you,” but I’ve received dozens of similar responses. Oof. Sorry, folks. Hopefully this gets resolved soon.